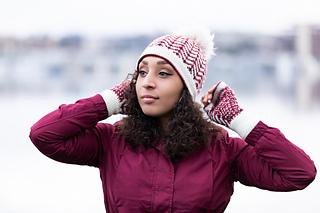 The Novemberist hat is part of a hat and mitt set dreamed up during an especially memorable November. 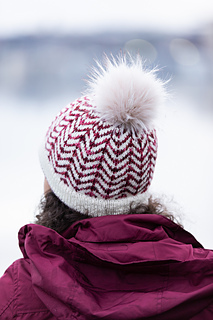 Made in two high-contrast colorways, this hat is doubly thick throughout with a turned hem and a chevron stitch pattern achieved by stranded knitting—both features that make this hat very warm while being equally stylish! 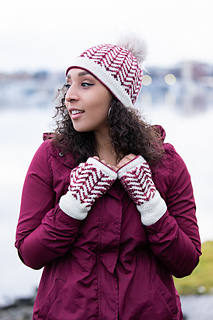 Check out the matching Novemberist Mitts. View the pattern teaser video! Get both Novemberist patterns for the combined price of $10.00! If you buy only one pattern now but buy the other at a later time, you’ll receive the additional discount! 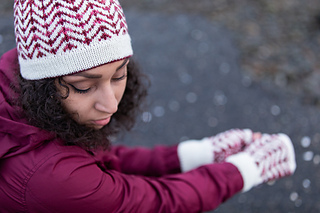 No coupon code is needed—just add the pattern(s) to your Ravelry cart!